I really dislike how my wings came out today but I didn’t want to keep trying to fix them and end up with raccoon eyes. 😀 I was kind of shaking when doing my wings (too much coffee!) and just the fact that the wings are fairly straight should be enough for me. 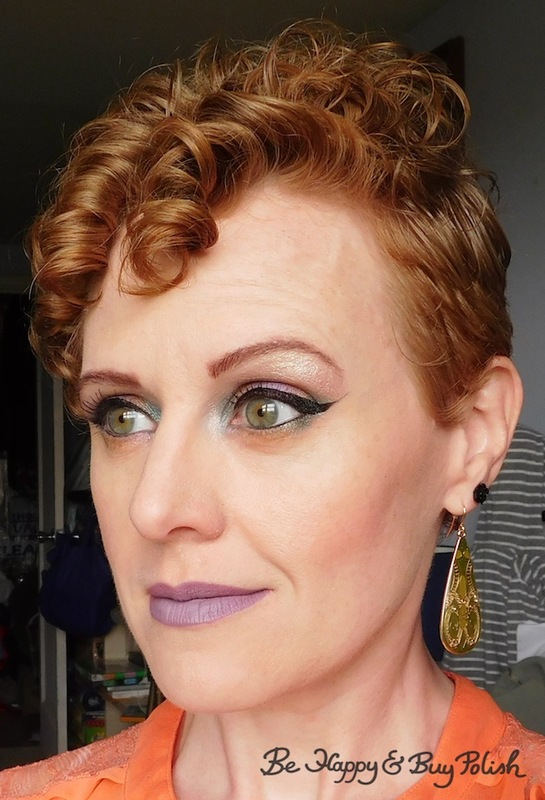 I haven’t used Glamour Doll Eyes for awhile so I decided to pull out some shadows for today’s look. 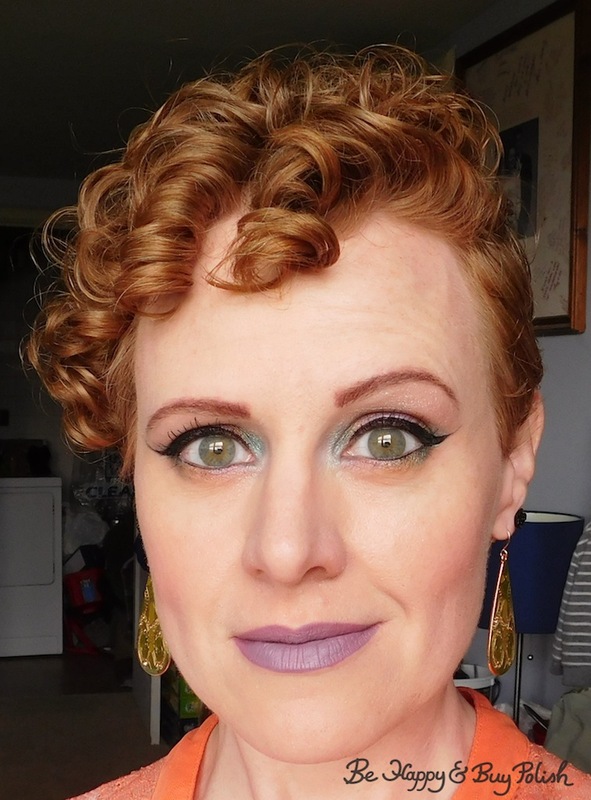 Even though I started with a white base (Nyx Cosmetics Milk), it still wasn’t vibrant enough for me. As I said, I started with a white base. I then added Midnight Kiss on the center of the lid with Cozy Sweater on either side of it. 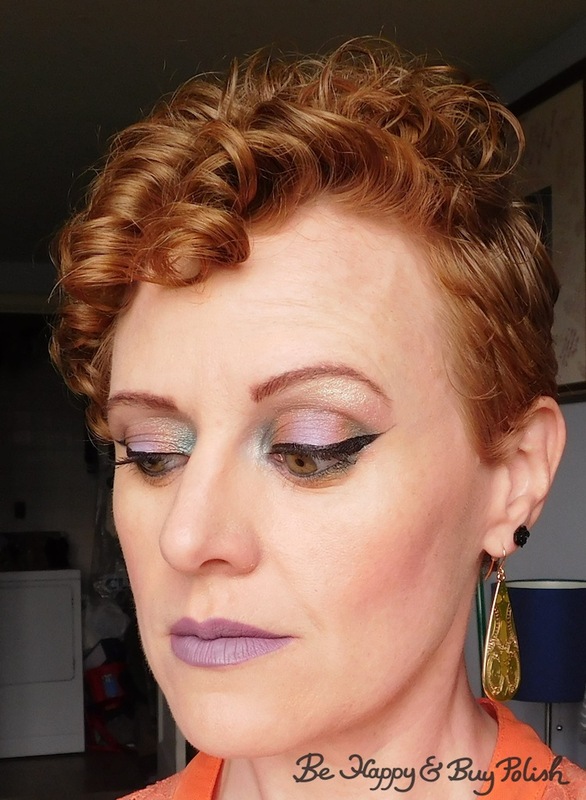 On the outside and inside corners, I used Fiji Mermaid (one of the best colors ever!!). 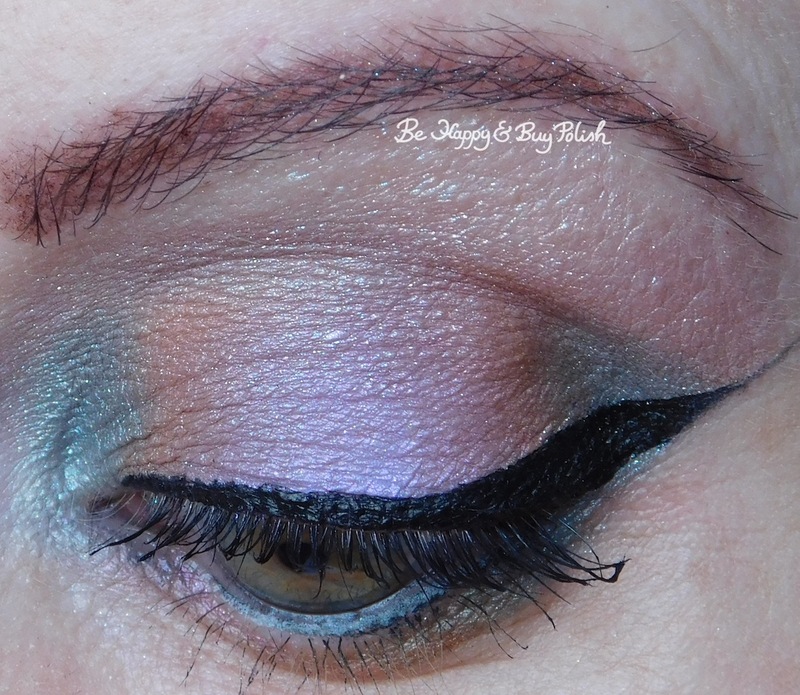 I then used Unicorns with Attitude in the crease and blended. Lastly, I added a bit of Cloud Coverage to the very inside corners. 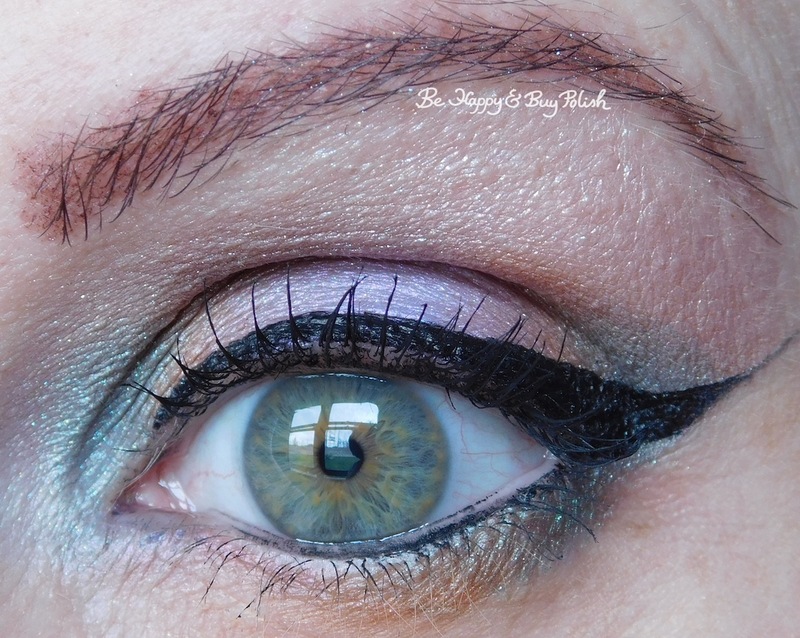 I also applied Fiji Mermaid, Cozy Sweater, and Midnight Kiss on the lower lash area. I kept my other makeup fairly shimmer-free since Unicorns with Attitude is all about the shimmah! For my lips, I started with L.A. Girl Matte Flat Finish Pigment Gloss in Rebel but I didn’t like that so I applied Colour Pop Marshmallow on top and loved it!